COURSE OVERVIEW: Mindfulness is a way of being, much more than a technique or a fad. Learn about the great healing – mindfulness as a way of being. Practice tools and strategies that can lower your stress and improve your health. Mindfulness means paying attention in a particular way, and shows us what is happening in our bodies, our emotions, our minds, and in the world. Wake up from living a life on automatic pilot. Come, learn and practice the skills with others in an entertaining and supportive atmosphere. COURSE OVERVIEW: Mindfulness is a way of being, much more than a technique or a fad. Learn about the great healing – mindfulness as a way of being. Practice tools and strategies that can help you communicate better and improve your relationships with yourself and others. Mindfulness means paying attention in a particular way, and shows us what is happening in our bodies, our emotions, our minds, and in the world. Wake up from living a life on automatic pilot. Come, learn and practice the skills with others in an entertaining and supportive atmosphere. 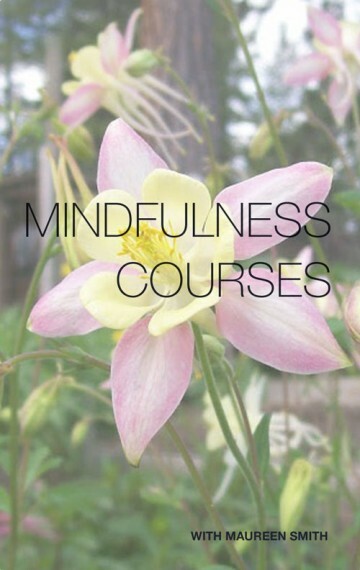 Alive Mindfully offers thorough training in mindfulness via an eight week MBSR program*. This course can be taken online or in person. Upcoming MBSR Courses: Eight Week In-Person MBSR Course. Tap into your own natural resources to reduce stress anytime with skills you will learn in this course. This evidence-based program has helped many participants learn to practice sustainable, non-judgmental skills that support self-compassion, positive behavioral changes, and improve their overall quality of life. Community – Join other mindfulness participants online or in person. 20 class hours and a 6 hour retreat. Optional Continuing Education credit may be available. Direct interactions with the teacher. MBSR Workbook, downloadable audio and video files. Experience-based: Learning and applying mindfulness practices in class and at home. This is not a replacement for individual care provided by your other doctor(s)/therapist(s). Come in with an “open mind,” willing to give something new a try, and let go of any expectations, positive or negative. Attend all eight sessions plus the day of mindfulness. Mindfulness practice is ideal for cultivating greater awareness of the unity of mind and body. It is a useful way to discover how unconscious thoughts, feelings, and behaviors can undermine emotional, physical, and spiritual health. The MBSR program started in the Stress Reduction Clinic at the University of Massachusetts Medical Center in 1979 and is now offered in over 200 medical centers, hospitals, and clinics around the world. The mind is known to be a factor in stress and stress-related disorders. Meditation has been shown to positively effect a range of physiological processes, such as lowering blood pressure and reducing arousal and emotional reactivity. In addition to mindfulness practices, MBSR uses yoga to help reverse the prevalence of disuse atrophy from our culture’s largely sedentary lifestyle. The program brings meditation and yoga together so that the virtues of both can be experienced simultaneously. MBSR is an 8-week intensive training, which meets on a weekly basis. *This 8-Week MBSR program is being offered under the supervision of Dr. Steven F. Hick, PhD., Director, MBSR Ottawa in accordance with the MBSR Ottawa Teacher Training Path guidelines, and also under the supervision of Rachael Crowder, PhD., RSW. Contact Maureen Smith for more information.